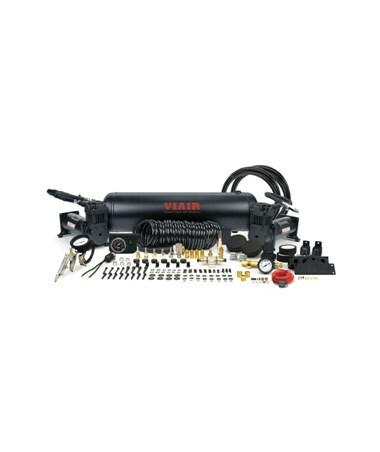 Featuring two 200 PSI Viair compressor and a 2.5-gallon air tank, the Viair Dual 444C Onboard Air System is capable of inflating up to 40 inches tires, managing air locking differentials and running air tools. This onboard air system is equipped with a 444C Viair compressor it delivers a 3.53 CFM flow rate with a maximum working pressure of 200 PSI. It has a duty cycle of 100% and provides 1 hour of continuous use without needing rest. 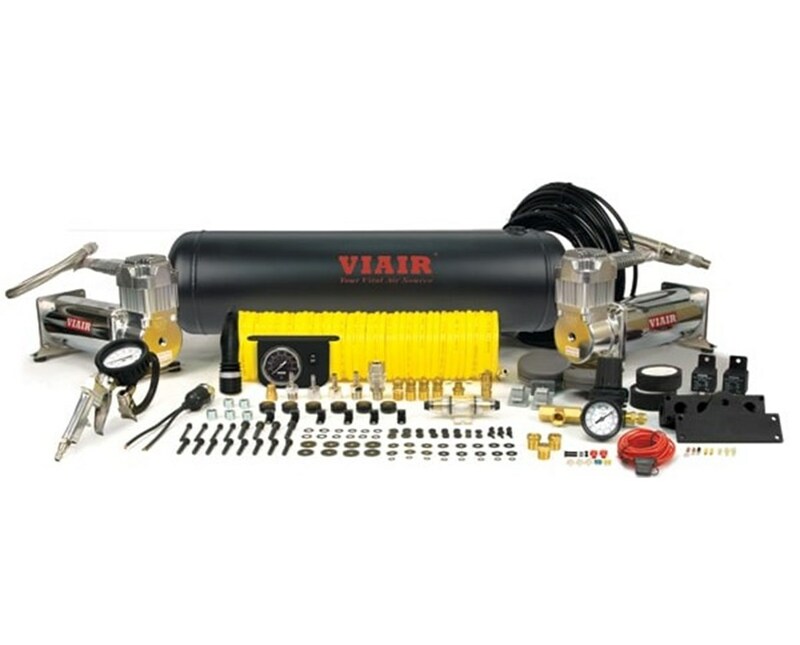 The Viair Dual 444C Onboard Air System comes complete with all the necessary components needed to install a working system such as inline pressure regulation, a dash panel gauge to monitor the pressure of the air tank and a tire inflation gun with 200 PSI gauge. This air system also comes with the automatic thermal overload protector to prevent overheating. 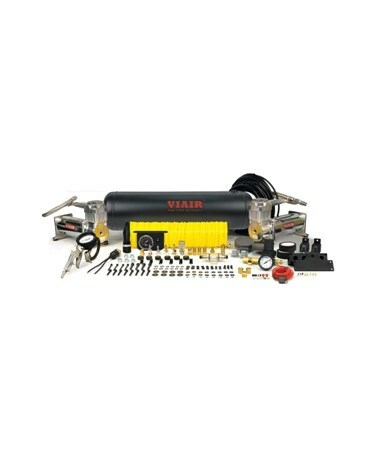 The Viair Dual 444C Onboard Air System comes equipped with a permanent magnetic motor that is maintenance free. It operates using a 12-volt DC system and has a pull of approximately 40 maximum amps of power. This air system is well-sealed from any entry of moisture or dust particles and has an ingress protection rating of IP67. It also comes with a 1-year manufacturer’s warranty from defects. The Viair Dual 444C Onboard Air System is available in two different colors. Please choose from the menu above.